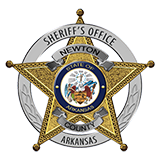 NEWTON COUNTY & SHERIFF’S AUCTION TO BE HELD ON SATURDAY OCTOBER 17TH @ 10:00 AM AT THE NEWTON COUNTY FAIRGROUNDS. DIRECTIONS: ONE MILE SOUTH OF JASPER, ON AR. HWY 7. SIGNS POSTED/RAIN OR SHINE. BY THOMAS AUCTION SERVICE OF JASPER, AR. (3) 2005 Holly Park model F01 14x64, 3 bed 1 bath trailer with A/C (never lived in) Shown by appt. only. (4) More Vehicles/Items to be added by the County Rd. Dept. RIFLES: Marlin 22 cal. w/simmons scope, Ruger 10-22 w/Deerfield scope, (2) Norinco SKS, Springfield model 234 22cal w/centerfield scope, Ruger 10-22, Ruger Carbine 44 mag., KSA Crickett 22 cal., Browning 30-06 w/scope, Ruger mini 14, Sears & Roebuck model 2200 22cal., Remington model 7400 270 cal. w/scope, Marlin model 42 22cal. w/scope, Browning Gold Medallion 22 cal., Winchester 270 cal w/Leopold scope, Remington Speed Master model 552 22cal. Knight MK85 50 cal., Thompson 50 cal. Muzzleloader w/scope, Cricket 22 cal., Remington model 742 243 cal., Marlin/Glenfield 22 cal. LR, Rossi 243 cal. w/scope, (2) Remington model 700 30-06 cal. w/scope, Keltec model 2000 9mm, Ruger 10-22, Henry model 7 22 cal. LR, (2) Winchester model 94 30-30 cal., Savage 308 cal. w/scope, Ruger 10-22, Marlin 22 cal. w/scope, (2) Keltec model PLR16 223 cal. SHOTGUNS: Winchester Defender 1300 12g, (2) Ithica Featherlite model 37 12g., Mossberg 410g., Winchester model 12 20g., Winchester model 1200 12g., New England 410g., Stevens single shot 12g., Mossberg pump model 505 20g., Palmetto Arms side by side, Saiga semi-auto. 12g., Taurus Circuit Judge 45/410, Ithica dble barrel 12g. HANDGUNS: (2) Glock 23 40cal. w/case, Heritage Roughrider 22 cal., H&R model 992 22cal., Llama Especial 380cal., Cobra Derringer 9mm, Walther P38 9mm, High Standard Duromatic 22cal, Ruger Single Six 22cal., Masterpiece Derringer Legend 45cal., Taurus Millennium PT745pro 45cal., Hawk Derringer D25 25cal., Ruger 22LR, Ruger Super Blackhawk 44cal., (4) Colt 25 cal., Browning 9mm, Keltec 380cal. w/crimson trace grip, Davis Indust. Derringer 32 cal., (2) Taurus Judge 45/410, (5) Taurus Magnum 357, Taurus Magnum 22cal., Keltec 9mm, High Standard Rough Rider revolver 22 cal., Taurus 22LR, North Amer. Arms Magnum 22cal. PELLET: Crossman Pump Master PR77, Daisy Powerline 177pellet, Unk. Pellet pistol. OTHER MISC: Assorted styles/types knives. Assorted handgun and rifle magazines. Assorted cases and other gun related items. Other misc. possible to be added. TERMS: Cash/Check w/ proper I.D. Must be 21 years of age to bid/purchase firearms. Must be an Arkansas resident and have a valid state issued photo I.D. Must pass Background check to purchase firearms. Forms available at the Newton Co. Sheriff’s Department and must be completed and turned in to Sheriff’s Dept. by close of business on Thursday Oct. 15th. Cash or Check (with proper I.D), AR Dealers welcome. Employees of the County will not be allowed to bid on items. Seller nor Auction Service responsible for injury/loss. All items sold as is / where is, once purchased buyer is responsible for item. Seller reserves the right to add/delete items prior to sale. All announcements made day of sale supercede all other advertisements. Restrooms and Concessions will be provided. Low reserve/min. bid on certain items possible. For questions or to view trailer contact the Newton Co. Sheriff’s Office @ 870-446-5124 (Items or background) or contact Thomas Auction Service (general questions) @ 870-688-5850.